Let’s face it: A lot goes into launching and building an ecommerce business. First you have to decide what you’re going to sell. After you determine how you’re going to source your products, set up your store, and start sending visitors to your site with paid advertising, you may think that’s it – I’m off to the races. In an increasingly competitive digital buying world, there are some do’s and don’ts when it comes to encouraging customers to buy items from your business. This act is called a conversion, and it’s just about the most important metric you’ll need to watch as you plan on building your business and increasing revenue. And conversion doesn’t just happen: you need to optimize for it. This applies whether you are just starting up and running the whole show yourself, or if you are an ecommerce manager or marketing director who has signed up to hit massive goals and KPIs for the year. First, let’s begin by defining a conversion – which often has a different definition business to business. What is an online store conversion rate? Conversion rate is defined as the percentage of visitors that land on your website who complete a desired action. You need to know your end goal to accurately define conversions that align with business goals. An ecommerce conversion rate is the percentage of website visitors who purchased something from your online store (in a set period of time). However, this metric is not the only way to measure success of your online store. A user adding an item to their wishlist. This ecommerce CRO guide covers how to increase ecommerce conversion rates on your site. Each of the bullets above are worth a guide all their own (the links of which above will get you on the right track). “Conversion” is such a broad topic because it can be impacted by every aspect of the user experience on your site. Conversion rate optimization is the process of improving the shopping experience to drive a specific KPI — usually, sales. Conversion rate optimization (CRO) can be conducted on landing pages, category pages, or any other customer touchpoint. Average ecommerce conversion rates are 1% – 2%. Even if you are doing everything right, you can still expect to win the sale around 2% of the time. The following 28 steps are what helped me to reach 2% conversion on my own site. The outcome of these steps is measured by conversion rate, but in reality they all made a small, incremental improvement to the overall shopping experience. A 2%+ conversion rate should be the baseline goal for your online store. Once you hit that and are doing all 28 of the below effectively, then you can move onto more advanced conversion rate tactics. How do you calculate conversion rate for an ecommerce website? A quick example: If your online store is getting 5,000 visitors and 50 conversions for a set period, that means your store’s conversion rate is 1%. Simple as that! Divide conversion into visitors and you have conversion rate. Most analytics tools provide conversion rate in any segmentation of the data, which we’ll get into in the sections below. Before we go through what to do to increase conversions, we need to know exactly what your current visitors are doing to set up proper ecommerce conversion rate benchmarks for your online store. Where are customers getting stuck and how are they interacting with your website? Once you find your benchmarks these should be compared to measure success. Of course when experts talk about increasing conversions you will hear a common theme: Test, test, test. I am all for testing. However, it is important to know what are your current conversion issues are and understand the basics before you can know what you should test. There are some invaluable and useful ecommerce tools to help analyze your current conversion rate issues. The following five are my personal favorite conversion analysis tools. HotJar is an excellent tool for understanding from a high level how your users interact with you website. As a heat-mapping tool, you get the functionality of click, cursor movement, and scroll-depth mapping. Depending on your plan, each heatmap experiment will capture between 1,000 and 10,000 pageviews and compile an aggregate analysis. However, that’s just the beginning of HotJar’s capabilities. Session recording can be an invaluable tool for analysis of customer behavior in real-time. With page targeting define, HotJar will record individual user sessions which you can watch at your convenience to understand how users interact with the user-face on a purely organic level. Further, you can set up attribute-based filters based on visit length, pageviews, country, device, and more – individually, or in combination – to drill down deeply on specific segments and types of users. Quantcast’s Measure is a relatively new addition to our “analysis stable” of go-to products but has quickly proven itself valuable by several measures. The easiest way to explain Quantcast is that it’s a tag-based analytics tool that fills a niche between Google Analytics and Facebook Analytics in that it measures users’ site usage and provides advanced demographic data on a per-click basis. The result of this is deep insights into who visitors are on a personal level which have translated into business intelligence for creative teams who can tailor messaging and imagery to resonate more deeply. 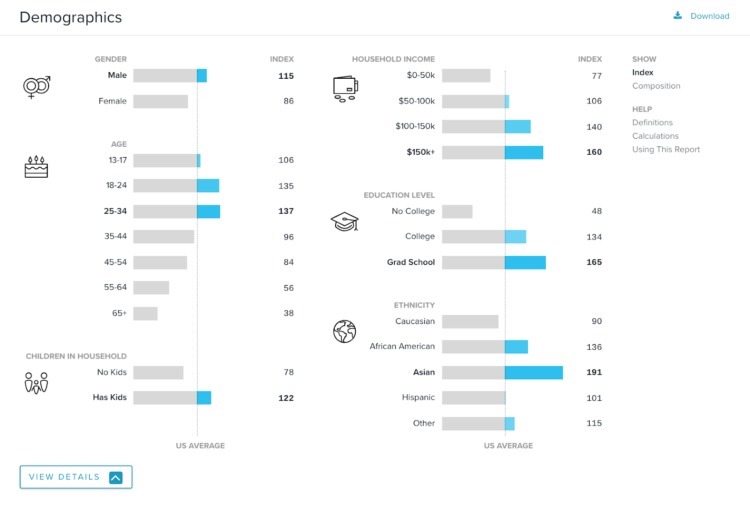 Also innovative is Quantcast’s option to view metrics on a composition view (demographics as a percentage of the whole) as well as on an indexed basis compared to the average website based on your country. What this means practically, is you gain insight into the segments of visitors that you’re reaching disproportionately to the general public. For most websites, I suggest setting up Google Analytics or something equivalent. How visitors found your website: This could be from keyword searches in google, referral websites, or direct visits. How long visitors stay on your website. Where the visitors are from. If the visitors are returning or new. What browser, operating system was used and if the visitor used a mobile device or desktop/laptop. How many visitors converted (based on goals setup) and the interaction that lead to the conversion. Link to your Google Adwords campaign to track paid traffic as well. Your step-by-step guide to getting Google Analytics set up for your BigCommerce ecommerce store. 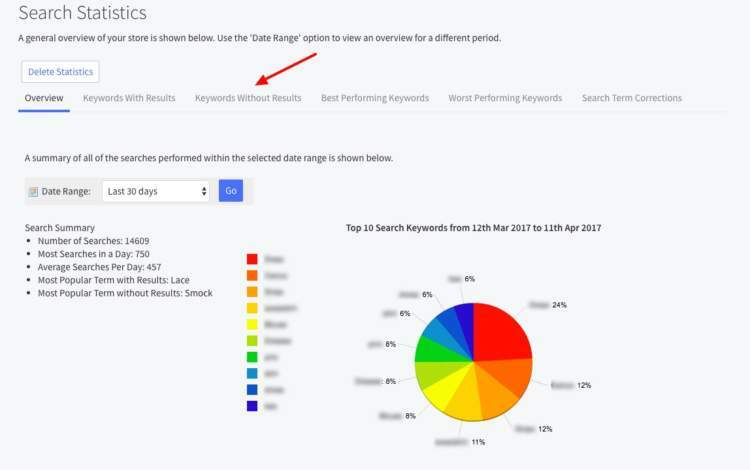 Google Search Console will gives you a peek at what keywords users are typing to find your website (if they click on your website or not). It also shows you various errors that may affect your website rankings such as slow loading pages, broken links, etc. Be sure to verify your site with Google to enable Google Search Console tools. If you have your store running on BigCommerce, the platform has an Analytics section in the administration panel that shows all abandoned carts including what products were in the cart at the time of abandonment. There are also analytics on In-Store Searches that will show you what customers are typing into the built-in BigCommerce search tool. This underutilized conversion optimization tactic helps you bridge the gap between what your customers are looking for and your on-site language and content. 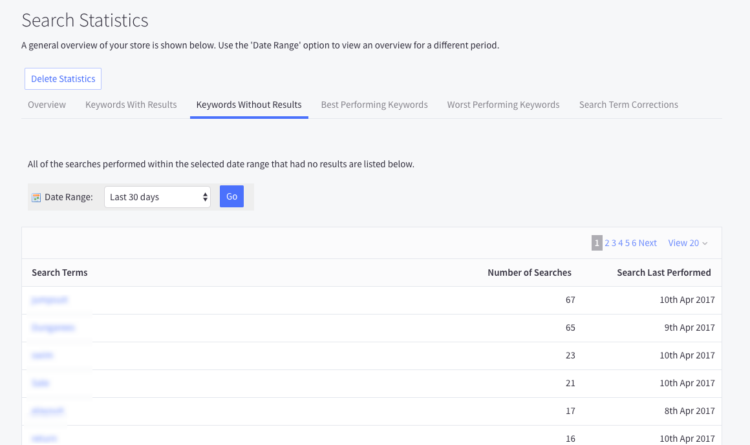 Look at keywords your potential customers are searching for that *are not* showing up. This can help you determine what you need to add into the store, for example. BigCommerce Analytics has multiple other Analytics dashboards, but they are most useful when you have customers. The two above will help you diagnose conversion problems without customers. There are a few other great tools out there, but this should be more than enough to get visitor interaction information to figure out where your website is lacking or excelling in regards to conversion rates. 1. Use high quality images and video on your product pages. Think about what you want to see when you are shopping. When you are shopping online you can’t touch the product or put it on. The best thing you can do is show a detailed image or video so that the customer knows exactly what they are getting. I suggest using high quality images and video on the product pages as that help the the user visualize the product better and increases conversion rates. Online shoppers have come to expect a certain standard that they have grown accustomed to on Amazon. If your store does not offer free shipping, customers are going to look elsewhere, period. In today’s market, free shipping is an absolute must! Think you can’t offer free shipping? Keep in mind that this is often a psychological game. Increase your product prices to cover shipping cost if that’s what needs to be done. 3. Provide limited time coupon codes. 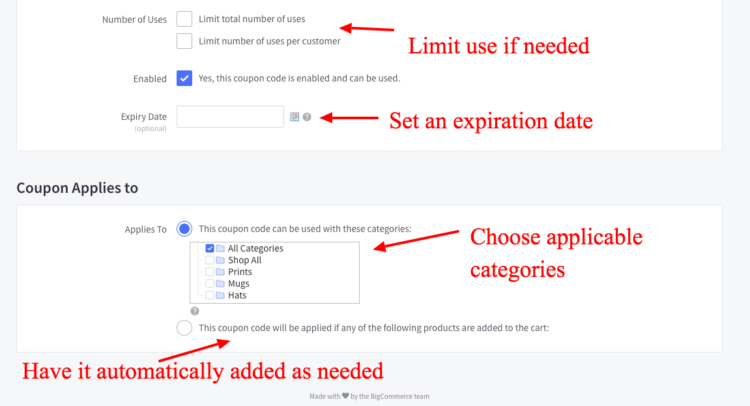 Create coupon codes that customers can use at checkout for a limited time and get a specific amount off or a percentage of the purchase. When your coupon code expires this will drive urgency and shoppers will more likely go through with the purchase and not get distracted. If you are selling brand name items that a lot of other stores offer, unfortunately you need to price your products at or below the average price in order to compete. Be sure to adjust your prices frequently to see what resonates. Also know that the quality of your marketing and imagery will heavily influence the price someone is willing to pay. Fitness brands like Lululemon and Outdoor Voices have done this extremely well. Just check out the article in the New Yorker praising Outdoor Voices’ products. They have clearly targeted the right audience. Market your brand to the right audience, with the right messaging and the right imagery, and the revenue will come in. Why value-based pricing works best (both for your customer and your bottom line). 5. Tweak and test your ecommerce checkout process. If your store checkout process is too long, complicated or unconventional, you may lose a lot of customers right as they are ready to buy. This crucial step in the funnel is where a lot of your A/B tests and personalization strategies should take place. Of course, there are industry standards for most hosted ecommerce platforms such as BigCommerce, but you may still need to tweak the process based on your customers. For example, BigCommerce offers an optimized checkout out-of-the-box that is technically a single page (with a few drop downs and a persistent view of the product(s) being bought). BigCommerce allows you to customize every pixel on your checkout too through their Checkout SDK. Multiple BigCommerce partners can help you create a custom checkout experience that fits your brand and customers. One page checkout skin example, powered by Intuit Solutions. 6. Use cart abandonment software. If you are getting a lot of abandoned carts – i.e. someone lands on your site, puts an item in the cart and then leaves – then abandoned cart software can greatly increase your store conversion rates. This software works with users that have added items to their shopping cart, entered their email and details and then left your store. Some ecommerce platforms offer this software free as part of the store functionality. Thankfully, BigCommerce is one of those. 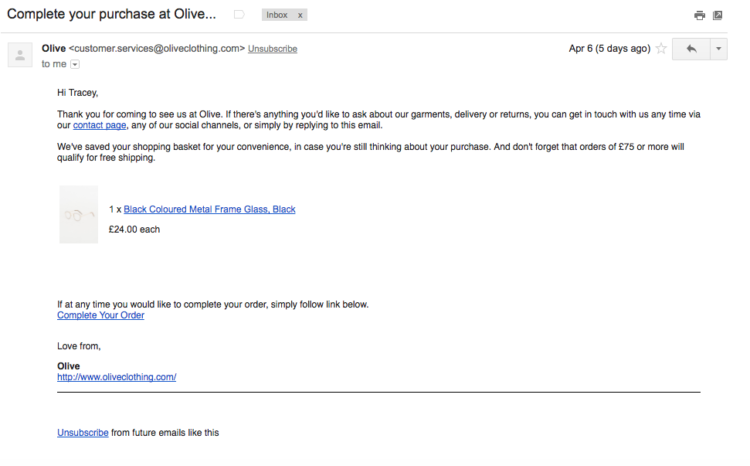 Here’s an example of the first email from a BigCommerce customer after an abandoned cart. 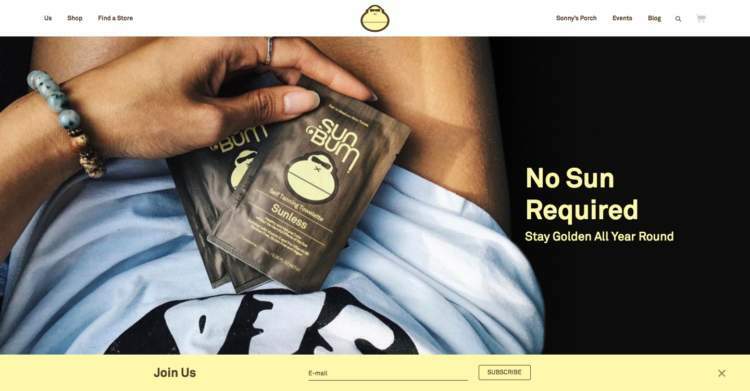 Their software allows you to create follow-up emails that will send the user an email with their cart contents as well as allow you to give them a coupon code to get a discount as an incentive to complete their order. Decreasing abandonment rate should be a high priority for online store owners, since this cohort of users have demonstrated interest — and abandonment is often between 60 and 80%. The success of this software is different for every store, but there is no doubt that it helps pretty much 100% of ecommerce stores that use it. Some stores see as much as a 30% increase in their website conversion rates. Acting on cart abandonment by itself can take you from low to average conversion rate. Use this Abandoned Cart Calculator to see how much more revenue you could be making. 7. Use live chat software. I have had mixed results with this. I believe this can increase conversions, but I would suggest that if you choose to use live chat software if you are truly available during business hours to immediately respond to customers that request a chat. Do not let the software go into the mode that says you are currently unavailable and that they can leave a message. That sends a bad signal. It would be better to not implement at all if you can’t be there when they want to chat. What this does, though, is build a direct communication line from your potential customer to you. Creating a real human connection will help build trust for this purchase as well as lifetime loyalty in the future. 8. Let customers know your ecommerce store is safe. This is subtle, but a really big deal. You need to build a certain level of trust in a short amount of time for customers to be willing to enter their credit card information on your website. Split tests have shown that trust signals can significantly increase conversion — so don’t miss out. Finding ways to enhance your on-site trust and credibility should be the basis for many of your conversion rate optimization activities. Customers want to know that they are dealing with a legitimate store that has industry-standard security measures in place. Install SSL at checkout (out-of-the-box on most ecommerce platforms) and site-wide if possible. Show small images of credit cards, PayPal and other payment options as a visual signal that you use customer-trust payment options. Display some sort of McAfee, GeoTrust or other security badges, and make sure that you actually have an active account with them. Don’t just add an image if you aren’t truly secure. In addition to the shared SSL certificate used by all BigCommerce stores, BigCommerce also offers dedicated SSL certificates verified by GeoTrust. 9. Setup structure so visitors can easily find products. Structure your product categories in a logical manner, but make sure you use as few levels as possible to allow a user to reach a product as fast as possible. I simplified mine like the above. Oftentimes, it is also necessary to allow customers to Shop by Color or other various fields. Setup a rotating banner to showcase top products. Here is an example from Trust the Bum. Also, implement a website search to allow customers to find products easily. The faster a visitor can find a product, the more likely they are to buy from you. 10. Make your checkout form easy to understand. Make sure that everything on your checkout form is completely understood, such as CVV and input formats. In fact, if you can, I would have the fields limit only what can be typed into certain fields to make it easier for users. So, when a user types a credit card number, format it for them as they go along to make it easier to read and harder to mess up. In a date field, don’t let the user type, but have a date picker or dropdown. The user is already reluctant to enter their personal credit/debit card info already. Don’t give them any reason to feel uncomfortable or make it hard for them to check out. Digital wallets help tremendously with this. Digital wallets are payment processors like PayPal Express, Amazon Pay, Apple Pay, and others. These systems allow users to sign in with their account information and then pre-populates everything for them. It is faster for them, and more secure for everyone. 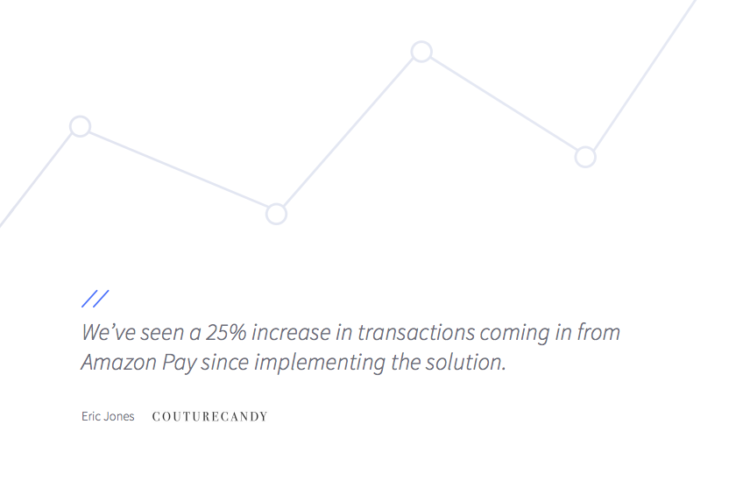 Learn more about what Couture Candy and other stores are seeing from implementing Digital Wallet solutions like Amazon Pay. 11. Always show shopping cart contents. Show a shopping cart icon with a link to get to it after the user has entered an item into the cart. If they can’t find the cart they can’t checkout. Also, be sure to show customers what they are actually buying as they checkout. As mentioned earlier, BigCommerce’s optimized checkout does this out of the box. 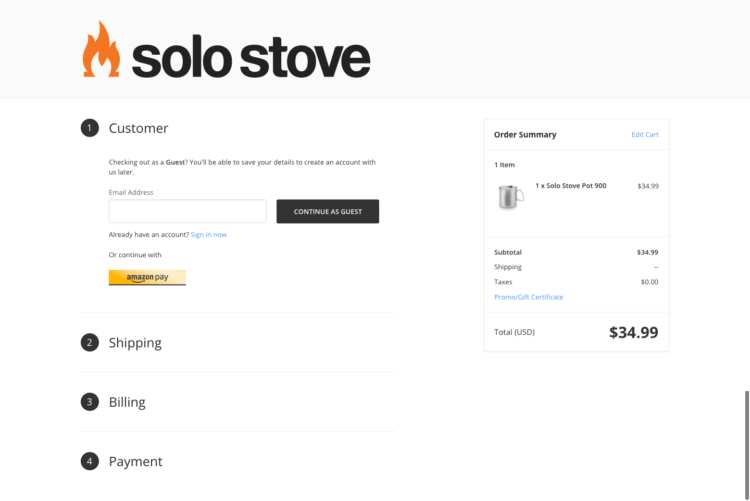 Example of an out-of-the-box checkout for BigCommerce customers. 12. Let customers checkout as guests. Allow users to checkout without signing up for an account. You will have their name and email address when they buy anyway. Forcing the user to register is just giving them another reason to leave your store. See image above to see how that works. 13. Give detailed product descriptions. Make sure you describe the product in great detail so the customer knows exactly what they are getting. Remember, they can’t touch the product and they are not in a store where they can ask questions. This will also prevent returns. Even better: add a product video or demonstration. All of Sierra Designs’ products have videos featured on their product page showing the product off and in use. All of this helps to build your SEO ranking as well – so it is beneficial for you for multiple reasons. 14. Allow customers to review products. Why do so many people buy from Amazon? Because of the reviews. Remember the last time you went to buy a product online. Did you search for reviews before buying? I bet you did. You could even offer customers a coupon code or other type of incentive next time they purchase as a reward for providing a review. Also, ask the customer to voice any complaints to you so you have the opportunity to address any issues as this will help you receive more positive reviews. 15. Make your “Add to Cart” and “Checkout” buttons prevalent. Sometimes a user is thinking of buying and can be further prompted to do so by an actionable button that says exactly what to do and that stands out from all the other surrounding text and images. The absence of these buttons is often the result of marketers overthinking things. As long as you’re not obnoxiously hitting people over the head with CTAs, I’d worry first about losing conversion by not making these buttons easy to access. BigCommerce now offers a customizable Buy Button that you can easily add to your site to gain those conversions. 16. Provide product testimonials if applicable. Ever heard the statement ‘Facts Tell, but Stories Sell’? Testimonials are way more powerful than just a list of features. Prove your product works by using real testimonials. Start by offering your product for review to prominent review websites (that give honest reviews) and use this as a starting point for your testimonials. Hint – press reviews count! 17. Have a great product return policy. Most customers (over 50%) will read the return policy before buying. Don’t over-promise here, but definitely make it as painless and as easy as possible for customers to return products (within reason). This may not sound like conversion optimization, but is another example of basic business practices acting as CRO. According to Forrester, mobile devices will account for more than one third of retail sales in 2018. If your ecommerce store does not provide a great mobile experience, you are missing out on a large amount of sales. Hosted stores such as BigCommerce support this out of the box, but you may need to tweak how it looks and works on a mobile device for your own specific business needs. Having a phone number prominently displayed on your website will reduce the anxiety of your customers. They will know that they can always pick up the phone and talk to someone if something goes wrong. This touch of authenticity can go a long way in increasing your conversion rates. Write useful and valuable content to supplement your products. The more value and information you can provide your customer, the more likely they are to buy from you (as opposed to a competitor that does not offer as much). This includes writing valuable content on your product landing pages, but also using blog content to educate, inform and engage your target audience. This will also help to increase organic SEO traffic. Again, this is not traditional conversion rate optimization, but it still moves the needle. 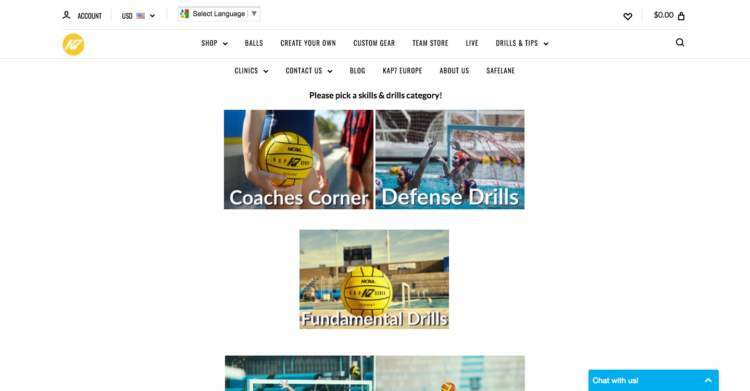 See below how Kap7 uses content about water polo drills and tips to supplement their expertise in water polo swimwear. Visitors may take more than one session on your website to convert. That is why capturing emails on your site is crucial. 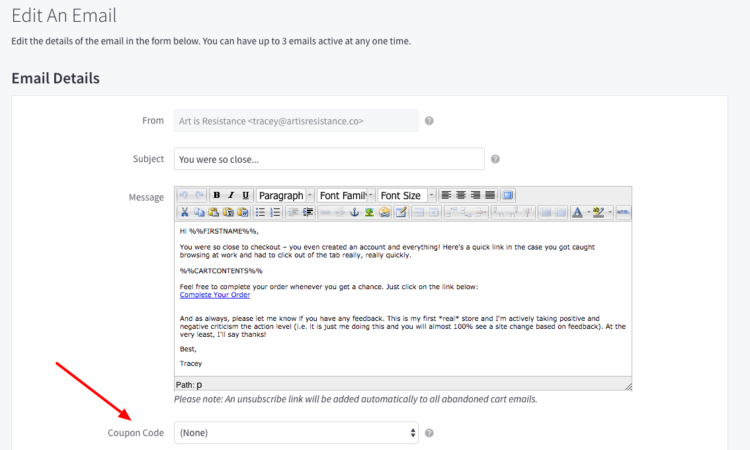 If you can effectively capture emails through a pop-up, offer a coupon code so you can continuously market to them while they are in the decision phase. This will greatly increase your conversion rates. Checkout BigCommerce’s full list of one-click email marketing integrations. Or, you can use Zapier to connect with your favorite platform. 22. Grab visitor’s attention quickly. If you can’t grab the visitor’s attention in the first three seconds, then you’ve probably lost them. Images will be the first thing someone sees and uses to judge a website subconsciously. Make sure if you are going to use large images on the homepage to choose carefully and try to catch the visitors attention in a positive way. 23. Use “Calls to Action” sparingly. Don’t overwhelm a visitor with too many options and CTAs on one screen. I suggest having an ‘Add to Wishlist’, ‘Share Icons’, ‘Add to Cart’, ‘Learn More’, etc all in the same area on the same page. Drive the user to the call-to-action that you want them to perform on that page. If they are on a product page, then use ‘Add to Cart’. If they are on the Cart page use: ‘Proceed to Checkout’. Explain why a visitor should buy from you. What makes you different from all the others selling the same products? What is your unique value proposition? Why would I buy from you? Be funny. Be smart. Be you! Otherwise – why should someone shop with you over anyone else? Make sure you spell everything correctly. Not doing this may hurt your sales as people will lose confidence and trust in your company. 26. Measure your ecommerce conversion rate optimization success. There are a couple of ways to make sure your tweaks and changes are working. The obvious one is to verify that your conversion rates are increasing. 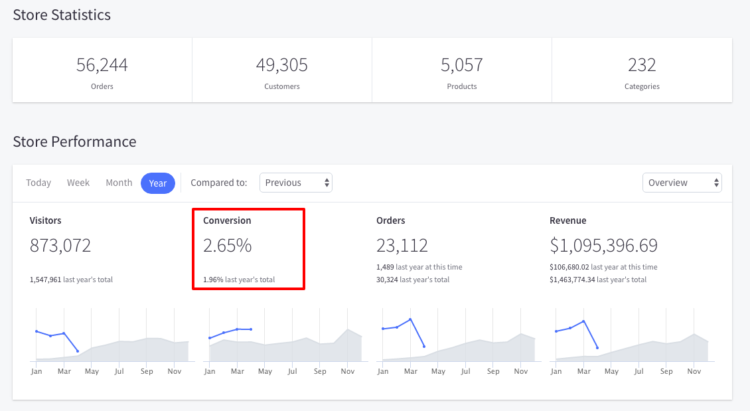 BigCommerce tracks your store’s conversion rates day-over-day, week-over-week, month-over-month, quarter-over-quarter, year-over-year and in any customizable way you want to see it. You can view this easily on your dashboard, or on the Analytics Dashboard. There is more than just increasing conversions, though, as you want to make sure your value per customer or bottom line is increasing as well. It’s more important to know what you are going to do with the traffic you receive than to just try and always get more traffic. Make the most of what you already have and then push for more traffic. By using a tool like Klaviyo you can trigger emails to your customers when they are browsing your website and do not make a purchase. You can send them a coupon for the products they were just looking at or just a gentle reminder why they should buy and not miss out on the deal. The best way to improve your conversion rates on your website is to constantly be a/b testing new ideas. You can leverage tools like Google Optimize for free. Depending on the test you may need design and development help. Using chatbots to interact with customers can help your customers quickly get answers to their questions. This will also reduce the overhead needed to staff up live chat. By using tools such as Google Optimize, you can personalize your website to your customers. For example, if I go to a watch website and look at women’s watches the next time I come to the Homepage you can feature women’s watches and remove any of the men’s watches. Creating personalized experiences for your customer will shorten the the path to purchase and increase your conversion rates. Add a progress bar to your checkout. This will let your customers know where they are in the process and how much longer it will take to complete their purchase. Filters are crucial in helping your customers navigate and drill down to the right products. Do research and find out what are the different questions your customer share about products and create filters on your category pages for them. For example, if one of your customers’ main objections to purchasing products is price, you can create a price filter on the category page and eliminate their objection by filtering for products they can afford. With the powerful user tracking and communication softwares available off the shelf, there’s no excuse for not personalizing the user experience. Personalized user experiences allow you to keep your message and desired action the focus of the user across platforms. This ‘scent trail’ goes a very long way to lead users back to conversion. For example, one common combo that’s super easy to set up is the pop-up tool Privy with your email marketing system – something like Klaviyo that will be sending transactional emails based on user behavior. 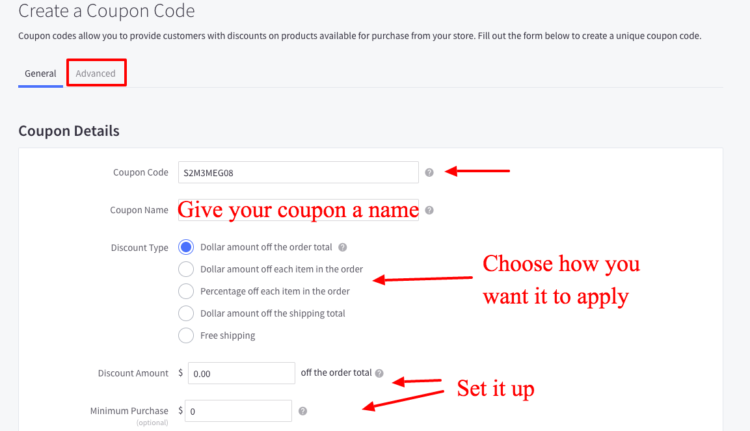 Now, if you’re offering a coupon code you, of course, will send the coupon in the email, but what’s going to happen when the user clicks the email? If the code isn’t being applied automatically, you’re hurting your performance by making the user fend for themselves. Instead, Privy makes it simple to trigger a welcome bar or notification based on a variety of triggers including URL parameters. Pop a code in the URL of the email’s button and have the coupon easily accessible on the site and voilà, you’ve personalized your user’s experience and made it significantly easier for them use and remember your offer. The conversion optimization game doesn’t end when you make a first sale. It doesn’t end when your make your 100th sale either. It’s great that you now have customers, but now is the time you go from that 2% conversion rate to something much higher. Small tweaks can seriously boost your bottom line, and while your front-end conversion rate is now optimized for 2% conversion and getting you customers, it’s time to optimize your back-end conversion rate. This means you’ll now want to focus on driving repeat purchases in a predictable way. Why predictable? Because once you have a baseline average conversion rate for your site and a steady repeat purchase rate from already existing customers – you can better determine how much to spend on advertising to win a customer over. This is because your ROAS (return on ad spend) lowers as repeat purchases increase. At 2017’s PROSPER Show in Las Vegas, he gave a fantastic presentation about how to build a value ladder, beginning with free educational content (i.e. your blog) and moving people up the awareness ladder to increased sales with your brand. Here is how he drew it out. Literally, he hand drew it. Here are the steps he described – paraphrased here – to build a value ladder. Potential customers begin at an unaware stage. They don’t know they are looking for your product. You must educate them – in a non-salesy way. Maybe only one of those reasons is fishing lures. At this stage, work to capture emails via pop ups as described below, or retarget visitors with ads to pull them back to the site. They are now aware they might have a fishing lure problem. In this first conversion stage (if you are measuring conversions as a sale), a customer may only be comfortable enough with your brand to buy something small. Offer an inexpensive lure that can help solve their problem as a tester. This is similar to the Badass Beard Care “free product” offer mentioned earlier. Now, they have tried your lure and like it. Offer them a subscription service to multiple lures, or monthly lures. Or, offer them a bundle. Either way, you are moving them up the value ladder. Often, each stage will require a new “awareness” problem. For instance, say you now want to sell someone a tackle box for all their new lures. First, you have to educate them on why their current tackle box isn’t fitting the bill. In this way, the value ladder often starts over. The difference, however, is that you already have the customer’s business and email address. You don’t need to re-advertise to them. You just need to keep them engaged with your brand and content via email nurture streams – and lead them down a new, higher cost funnel. At this point, your ecommerce business is more mature and it may make sense to partner with other brands to offer fishing trips (for example) to your audience and move them even further up both the value and engagement ladder. This is where your big ticket item purchases will occur – after someone has purchased with you and trusts your brand. Beyond how well your store converts, there are a few other metrics that matter when discussing conversion. That’s because they are indicative of engaged or disengaged user behavior. Moving these metric sin the right direction will generally help your overall store conversion rate. Bounce Rate is the percentage of people who leave after viewing a single page. A high bounce rate is not a good thing – for some reason (or reasons), people aren’t finding what they’re looking for on your store, so they are leaving immediately after landing on your site. Exit Rate, often confused with bounce rate, is the percentage of people who leave after viewing the page. Your exit rate lets you know the last page that users view before they move on. A very high exit rate on a specific page can be a red flag — this is one metric you can look to drive down with landing page optimization. Click through rate: The number of people who click a link to your website from an ad or email. Optimization for AdWords or email marketing campaigns often focuses on getting more users to click through to your website and take an action — or even engage on social media. You can find these metrics in your Google Analytics account under “Behavior > Overview”. Average Session Duration is an engagement metric that gives you a general idea of how long people are sticking around your site. A high bounce rate means a low average time on site — visitors aren’t sticking around long enough to do whatever it is you want them to do (convert). Average Page Depth (AKA Pages per Session in Google Analytics) is an engagement metric that tells you how many pages a potential shopper visited before leaving. This metric is simply total pageviews per session duration. Note that more page views can mean more engagement but also can mean a lack of clarity in your conversion funnel if no conversion is present. You can find these metrics in your Google Analytics account under “Audience > Overview”. The value ladder isn’t perfect for everyone, but it does do a great job at explaining why it is important for you to think through what you will do with your customer once you get them in. Driving repeat business is extremely valuable, both in terms of revenue as well as brand engagement and interaction. It is how you actually build a brand – not just a flash sale site. But, before you can begin on the value ladder, it is important that you first make sure your website is converting at a baseline level of 1-2%. The 33 steps mention in here will help you to accomplish that and not waste precious advertising dollars. Have questions? Leave them in the comments below! At WebMechanix, Shlomo Trachtenberg works with eCommerce & B2B businesses to turn money-losing digital ad campaigns into highly-profitable, sales-generating engines through combining paid traffic while simultaneously optimizing the onsite experience through A/B testing. Leveraging his experience managing enterprise-level online strategy & conversion optimization, he has been able to implement programs for his clients that fundamentally change the direction of their businesses.